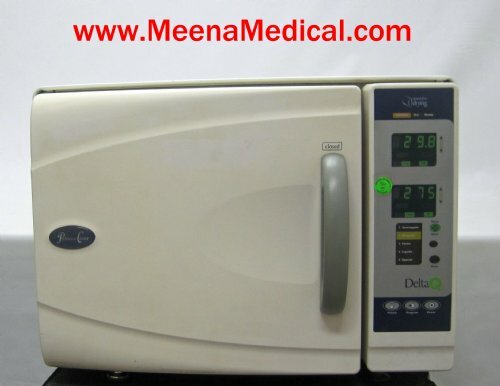 This Pelton & Crane Delta Q10 Steam Autoclave is used in a range of settings, including active surgery center, medical practice, dental office, industrial labs, and doctor's clinic. 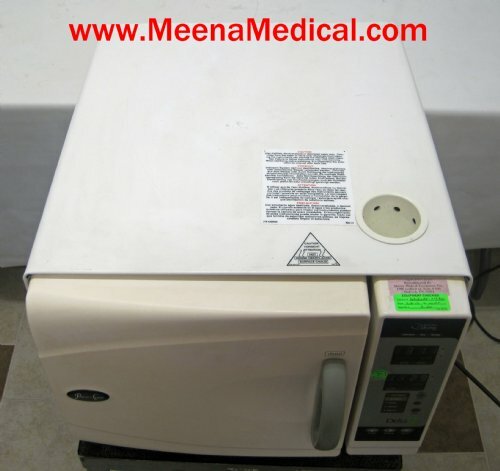 This unit is Preowned and in Excellent Condition. 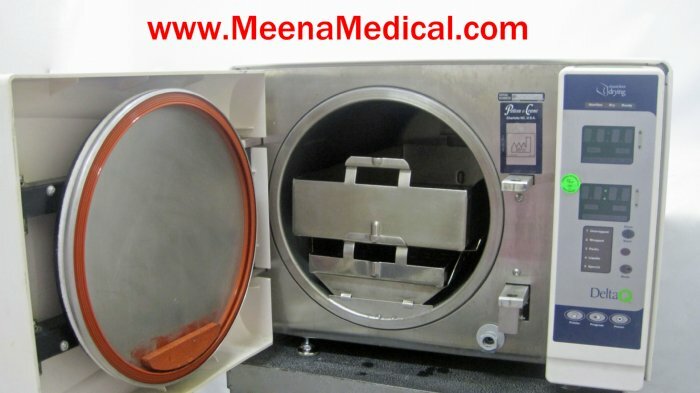 This product features closed-door drying, which prevents the interruption of the full sterilization process by allowing instruments to dry completely in an enclosed, clean environment. 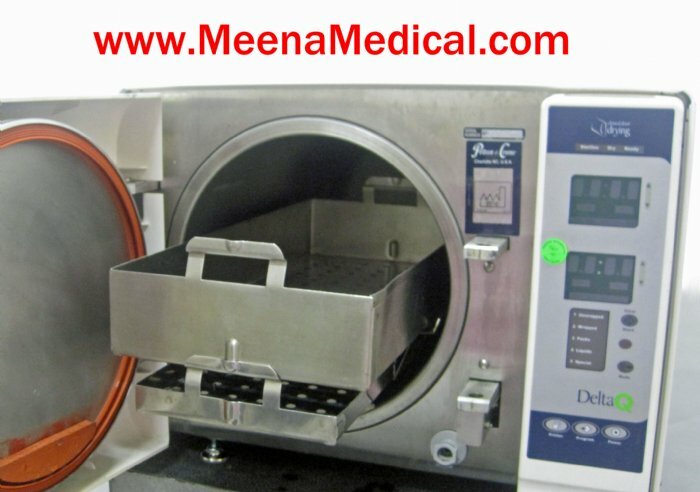 One custom and four automatic pre- programmed sterilization settings allow you to select the appropriate cycle according to type of load. 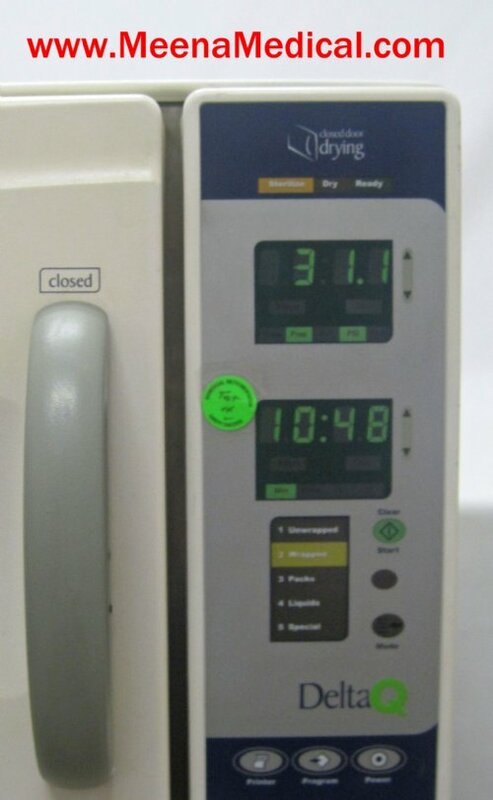 Variable timed drying cycle saves time by giving operator the flexibility to set drying time according to load size. 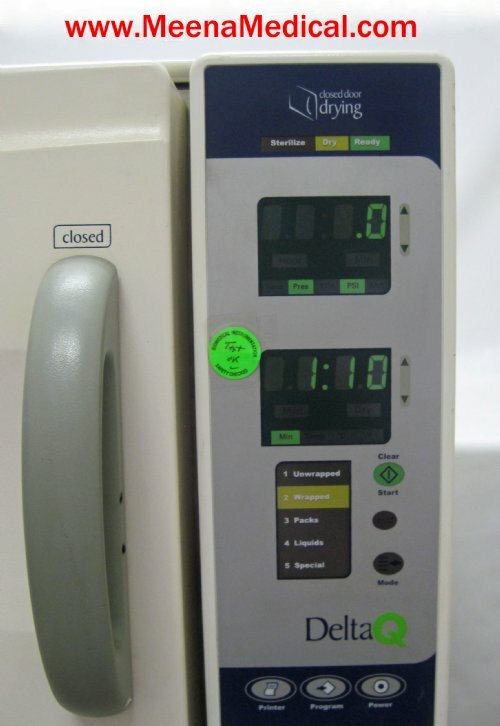 Electronic temperature and time control systematically monitor sterilization conditions in chamber to ensure cycle completion. 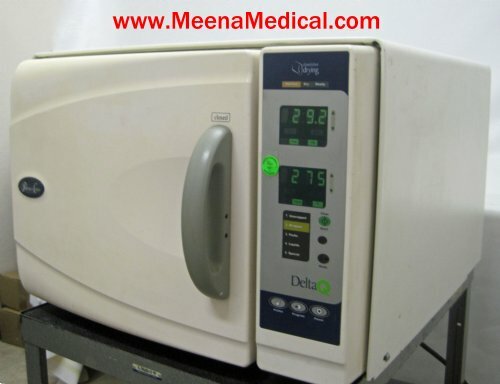 Digital function display allows easy and accurate monitoring of sterilization cycle. 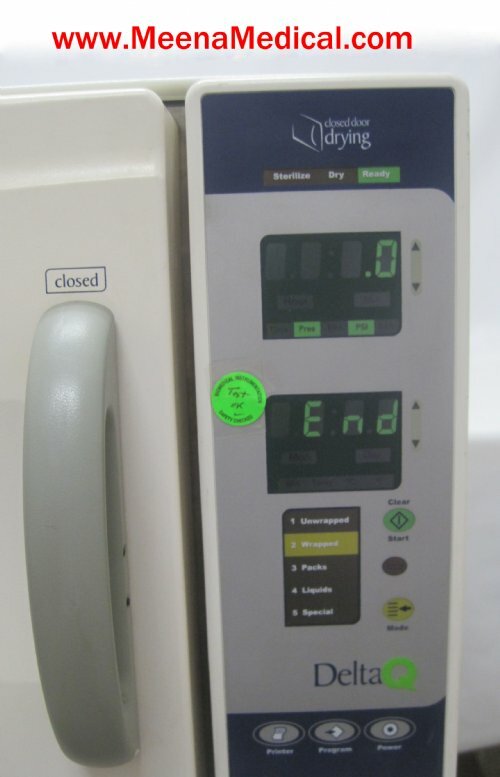 Bright graphics ensure that display is easy to read.